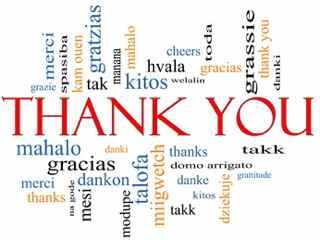 We would once again like to thank you for your participation in this years OntarioACHI Conference and Exhibitors Showcase. As the time is now arriving that we are thinking less about planning and more about doing, we would like to let you know of the logistics for the conference. The conference runs from March 6th until March 8th, 2018 with the exhibition being open from 8:30 am until around 5:30 pm each day. Members from the OntarioACHI administration teams will be at the Hotel from 5 pm on March 5th to assist with anyone who wants to set-up early. The morning of the first day, the exhibition area will be open from 6 am. Anyone exhibiting that has not set-up the night before, or has not asked us to set-up for them, is asked to have their exhibition set-up completed by 8 am. Again members from OntarioACHI will be on hand to assist. A registration desk will be in the lobby in the lower area. Sponsors, Exhibitors and Presenters can each get their ID badges here. Please ensure you have submitted the names of your attendees to sponsorship@ontarioachi.ca before the end of day Monday 5th, 2018. Late-comers will get handwritten badges. We expect visitors to start arriving anytime from 7:30 on each day. There will be a networking area outside of the exhibition hall where we will direct attendees until the exhibition opens. Exhibitors, sponsors and presenters are more than welcome to mingle with the attendees in this area once their booths are set-up. This will provide an opportunity to network prior to the day's events. Exhibitors are asked to attend their booths for 8:30 as this is when the doors to the hall will open. The rolling presentation will start when the Main Hall opens, and any sponsor or exhibitor that has not sent material in to put into this rolling presentation should ensure it has been delivered to sponsorship@ontarioachi.ca BEFORE 4 pm on Monday 5th. Presenters should ensure their presentations are provided by the same deadline. Any presenters wishing to use their own laptops to display their presentations should be aware that the connection to the screens is via HDMI connection. Please ensure your equipment can support that. Presentations should be in either PowerPoint 2013, LibreOffice or PDF format. We will have a teleprompter available for use. Scripts for the teleprompter must be submitted in digital text form (.txt) again BEFORE 4 pm on Monday 5th. We expect the last day to be finished no later than 6 pm. Exhibitors are asked to remain until then, depending upon the attendance before breaking down their exhibits. This is to stop disruption to any other exhibitor, sponsor or presenter that may still be operating. Should these times change to an earlier option, you will be notified on the day. The Main Hall and all training rooms will be locked overnight. The main Hall will open for access on days 2 and 3 at 8:30 am. The Main Hall will be locked at 6 pm each evening, allowing attendees that have been in other areas for training, exams, etc to talk to exhibitors and see the exhibits. Sponsors, Exhibitors and Presenters are responsible for their own property during the conference and no liability will be accepted by OntarioACHI or the Admiral Inn for any items that are "misplaced" when the conference areas are open. The Hotel has assured us that outside hours they will keep everything locked up. We will be videoing parts of the conference, including presentations for later release to members for education. If you do not want your presentations recorded, please advise one of the organisers before your presentation starts.